The Arcturus Adventure. 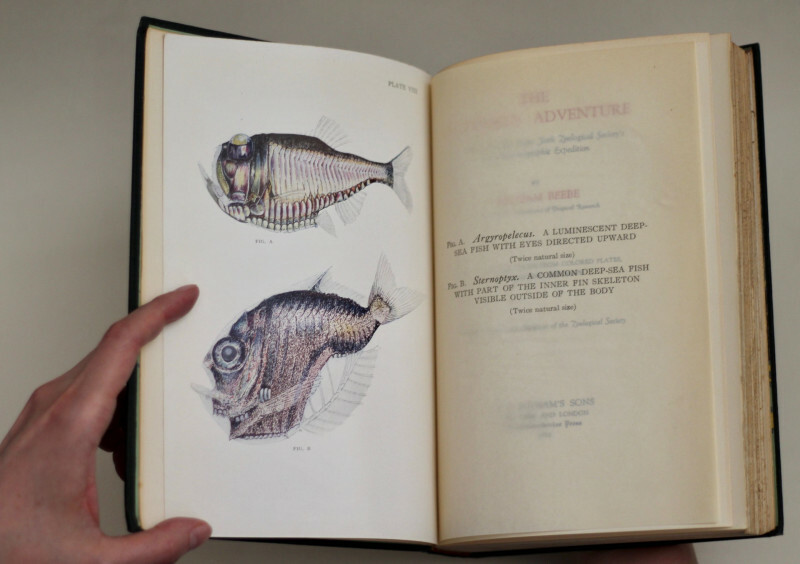 An Account of the New York Zoological Society’s First Oceanographic Expedition. Octavo (235 x 158mm), pp. xix, [1 (blank)], 439, [1 (blank)]. Title printed in red and black. Colour-printed frontispiece with printed tissue guard, 7 colour-printed plates with printed tissue guards after Isabel Cooper, Don Dickerman, Dwight Franklin, and Helen Tee-Van, and 25 monochrome plates with illustrations, diagrams, maps, etc. after Franklin, Dickerman, Charles Livingston Bull, John Tee-Van, Ernest Schoedsack, et al., all but one printed recto-and-verso. (Some very light marginal browning, a few light marks.) Original green cloth, upper board lettered in gilt and with blind-ruled border, spine lettered in gilt, top edges gilt, others uncut, colour-printed endpapers after Cooper. (Spine a little faded, extremities lightly rubbed and bumped, slight cracking on upper hinge.) A very good copy. 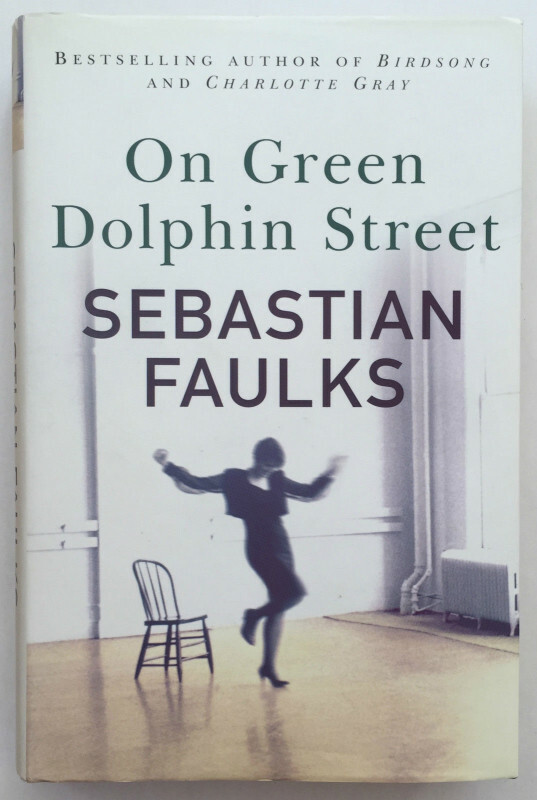 First edition, fourth printing (published in the same year as the first). The American natural historian, oceanographer, traveller and writer Beebe (1877-1962) was born in Brooklyn and grew up in New York and New Jersey, and studied natural history at Columbia University between 1896 and 1899, leaving without a degree. 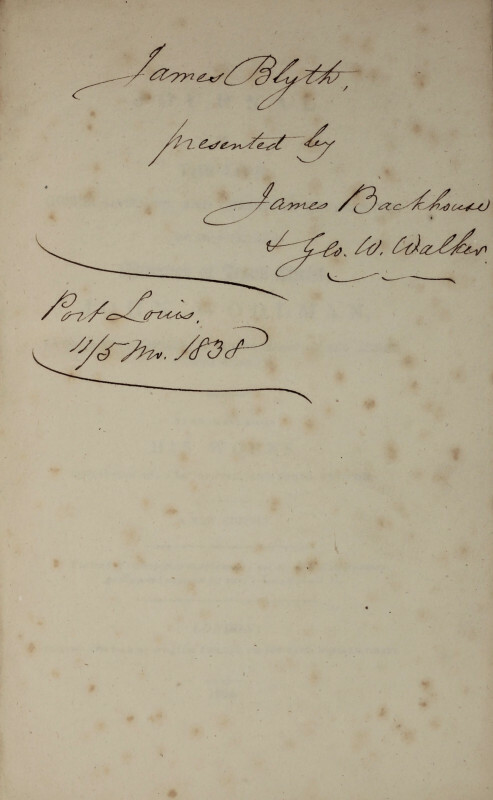 Following posts as Assistant Curator and then Curator at the New York Zoological Society’s Zoological Park, Beebe undertook a series of travels for research, publishing the results in numerous articles and books, often intended for a popular audience, and ‘Beebe’s work and his many publications unquestionably exemplified the work of the Zoological Society for many Americans, particularly young people, from the 1920s to the early 1940s’ (American National Biography). One of Beebe’s greatest contributions was to the area of deep-sea oceanography, particularly using a weighted copper helmet in the Galapágos Islands in 1925, which is described in chapters III, VII, XI, XI, and XII of the present work and depicted in a number of the illustrations. 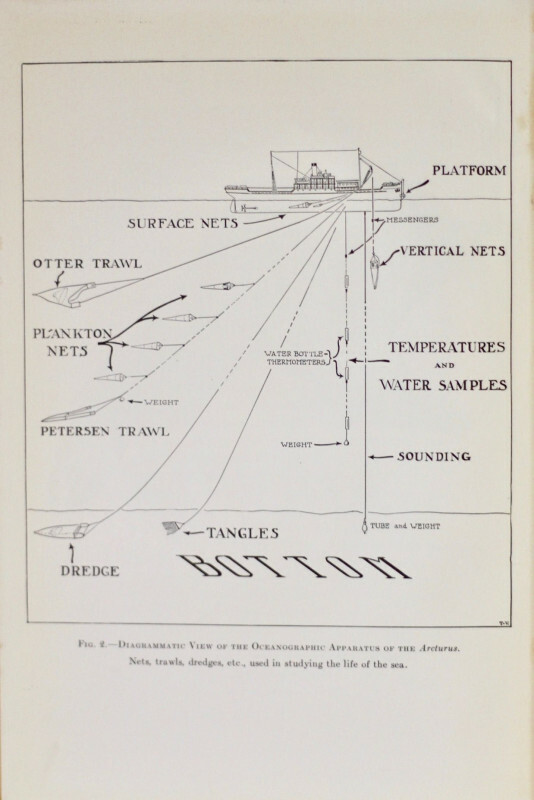 These researches led the development of the bathysphere by Beebe and the American engineer Otis Barton (also an alumnus of Columbia) in 1930, and their 1934 dive to 3,028 feet off Nonsuch Island, Bermuda established a record that would stand until 1949, when Barton broke it. The Arcturus Oceanographic Expedition (the ninth New York Zoological Society expedition, but the first oceanographic one) left Brooklyn on 11 February 1925 and returned to New York on 30 July of that year, having covered some 13,600 miles and visited Norfolk, Bermuda, Panama, Cocos Island and the Galapágos Islands. According to Beebe’s preface, ‘[t]he avowed objects of the Arcturus Expedition were the investigation of the Sargasso Sea and the Humboldt Current. Owing to continual storms the former was in such a disintegrated condition that I soon decided to postpone detailed study until a more favorable time. In the Pacific, to our surprise, we found that there was absolutely no trace of the Humboldt Current about the Galapagos. The inexplicable absence of this great, cold, Antarctic current was more than made up for by the presence of equally unexpected natural conditions. Among the totally unexpected and inestimably valuable phenomena — the high lights of the expedition — were the great volcanic eruption on Albemarle [...]; the albatross rookery on Hood [...]; the remarkable results of hundreds of dives in a copper helmet and bathing suit [...]; the temporary current rip in mid-ocean [...]; and the deep sea work in the submerged Hudson Gorge, only one hundred miles from New York City [...]. Finally, the accomplishment which, scientifically, proved the most valuable of all, was the result of my decision to make a ten-day stay in one spot in mid-ocean [...], where continual dredging yielded very remarkable collections of fish and Crustacea, equivalent to any two months of the less intensive work’ (pp. ix-x). 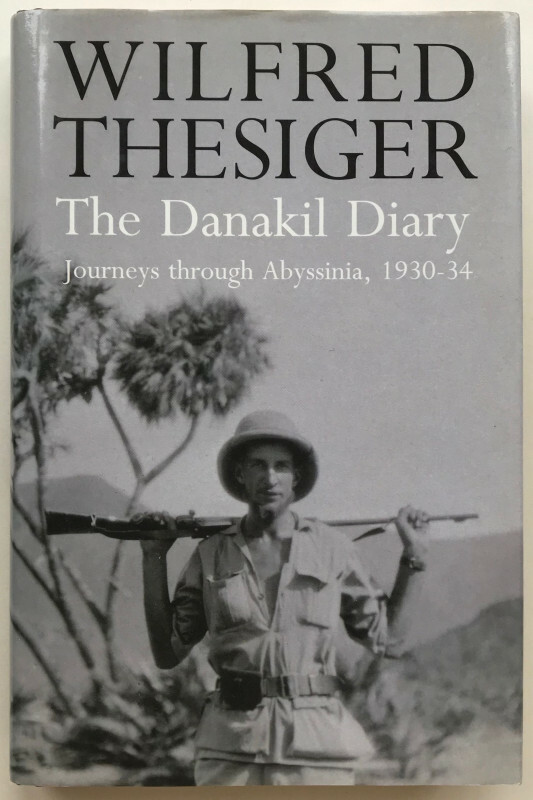 This copy is from the scientific library of the distinguished zoologist and traveller Professor John Cloudsley-Thompson FRES, FLS, FZS, etc., whose undergraduate studies at Cambridge were interrupted by World War II, during which he served as a tank commander in North Africa and Europe. On his return to Cambridge in 1945 (when he acquired this volume), Cloudsley-Thompson completed his degree and then a doctorate, which was followed by the positions of lecturer in zoology at King’s College, London (1950-1960), professor of zoology at the University of Khartoum (1960-1971), and, finally, professor of zoology at Birkbeck College, London (1972-1986), becoming emeritus professor upon his retirement. He was the recipient of numerous prizes and honours, and also the author, co-author, or editor of some fifty books.